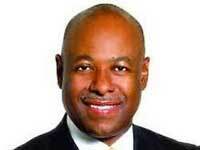 Obediah H. Wilchcombe, Minister of Tourism for The Bahamas has confirmed his attendance to the African Diaspora World Tourism Awards & Travel Expo to be held April 27, 2013 at the Marriott Airport Hotel in Atlanta, Georgia. He will receive a Who’s Who Award in Tourism. The Bahamas Atlanta Consulate announced the decision of Minister Wilchcombe to attend the inaugural African Diaspora Awards & Travel Expo that will recognize 100 Hall of Fame honorees and numerous Who’s Who from around the world. Honorees from The Bahamas are: Perry Christie, Prime Minister; David Johnson, Director General; Obie Wilchcombe, Minister of Tourism and David Johnson, Director General. Wilchcombe, a native of Freeport, has represented Grand Bahama and Bimini constituency since 2002 and has pledged to create more economic and educational opportunities for both islands and help drive airlift and trade. Wilchcombe replaced Vincent Vanderpool-Wallace as Minister of Tourism. The Minister is a special VIP dignitary invited to attend the Hall of Fame Reception, participate in the Red Carpet Walk on Saturday prior to the awards ceremony at 7:00 p.m. The awards will be hosted by multi Emmy Award- winning Monica Kaufman, TV personality and assisted by Dr Julius Garvey, Jr. son of the late great Marcus Mosiah Garvey, national hero of Jamaica, West Indies.